You are here: Home > Tutorials > SEO & Marketing > How Creating Memes Can Help You in Your Online Marketing Efforts? Being one of the trendiest forms of social sharing, Memes have become very popular in recent years; rather they’ve become an essential part of modern online life. As the Infographic from Wondershare Filmora team shows, meme rose to fame since 2000, and today they have become one of the most popular forms of online entertainment. 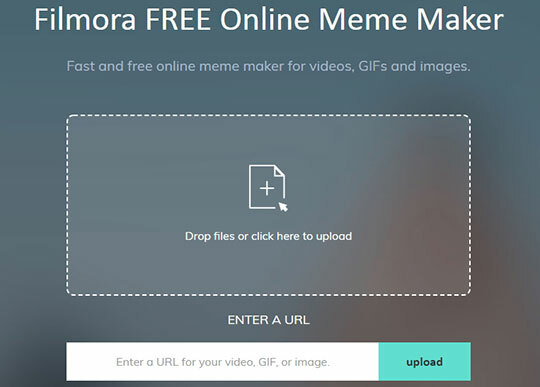 In this article, we will share with you some interesting data about the Meme Marketing as well as about the Filmora meme generator for creating memes online for free of cost. Normally, the Millennial or Gen Z people searches and shares memes the most. Memes are short and contain both, graphical and text content. It can be a short video, a song, a photo, a GIF or an animated image that contains ironic yet comical messages. The text used in a meme provided commentary to a picture. Memes are very easy to create and the best part is they are even easier to share. For the most part, memes are meant to be a lighthearted and entertaining form of online communication – sarcastic, ironic or funny – but because they do grab someone’s attention easily, they are used in digital marketing space to boost appeal and engagement. People have recognized the potential of using memes as a marketing tool. You can generate a heap of exposure for your brand using memes. Recommended for you: How Does Video Marketing Help in Generating Lead? The Filmora’s Infographic shows that people can only remember 10% of a message they read, however, when the same message is combined with a picture or image, people can retain 65% of the message. Since memes are entertaining, they are effective for advertising. When you’re using memes as a marketing tool, keep in mind that your meme must be funny, trendy and unique in order to go viral, as generic memes are not going to grab the attention of the online community. You need to remember that each meme you’re sharing online must have humor as humor has always been an effective marketing technique. Always offer your own unique perspective on the subject you’re commenting on. Thus, memes offer an expensive way which can amaze your potential clients. Social media platform like Facebook, Reddit, Twitter or Instagram can help you reach your target audience faster as you can use hashtags related to meme’s topic to reach new clients who are not yet yours or your brand’s followers. With memes taking over today popular internet culture, you may want to create a meme by yourself. Yes! You can make a meme using meme maker. There are various meme generators to produce witty viral memes. Meme generators or meme makers are simple-to-use tools that let you express your creativity and produce memes that can easily and quickly go viral. You just need a great idea for your meme, and a meme maker of your choice will do the rest. There are many tools that can help you generate creative memes. However, only a few of these online meme makers can be trusted. 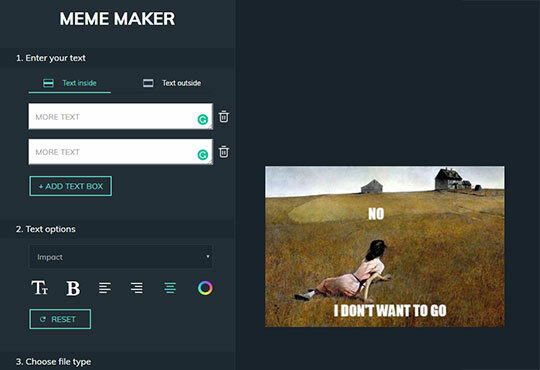 Filmora Meme Maker is a fast and free online meme maker with no watermark and registration. You don’t need to log in or sign up to use the meme generator. It supports importing video, GIF, and image at one place. To generate a meme, just drag the media file of your choice or paste the URL in order to load the meme image, GIF or video, and then add the text to the image. The Filmora meme maker allows you to customize the text size, font, color, and position. Once the editing is done, you can export your meme within a few seconds. You can also upload the meme to social media platforms like Instagram and Facebook. This Online Meme Generator provided by Filmora supports exporting to popular video and image formats including PNG, JPEG, GIF, and MP4. It has an easy-to-use online interface that consists of a text editor and the preview panel. You can also make GIF and video memes and share it anywhere. 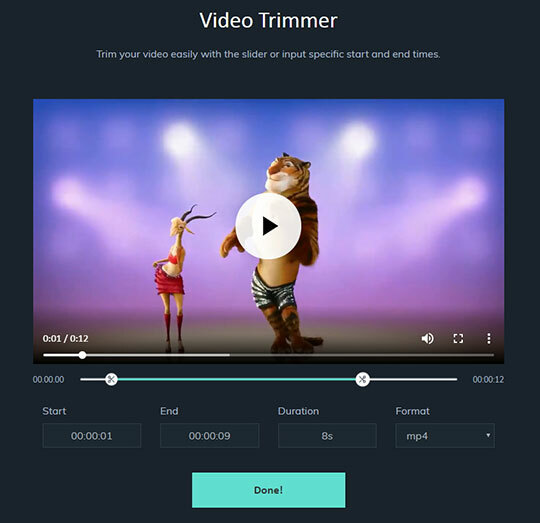 If you uploading a video to this meme generator and want to use only a few frames to make a meme, you can use the Video Trimmer to trim and remove the unwanted parts with ease. By using an online meme generator, you can create memes whenever you want; you can customize them as per your needs. All you need is a creative idea for the text and a suitable source image. Within a few minutes, the meme maker will make your meme ready to download. Then you can share the same with your friends and online. The best part is, you can create an impressive meme online with a meme maker that is completely free!